With Gaia almost ready it was time to have a look to other pieces of the puzzle. We therefore paid a visit to the MIK building (MIK is the Russian acronym for the huge hall where the three stages of the Soyuz are assembled). We could see the 1st and 2nd stages mated together and the 3rd one close to them. 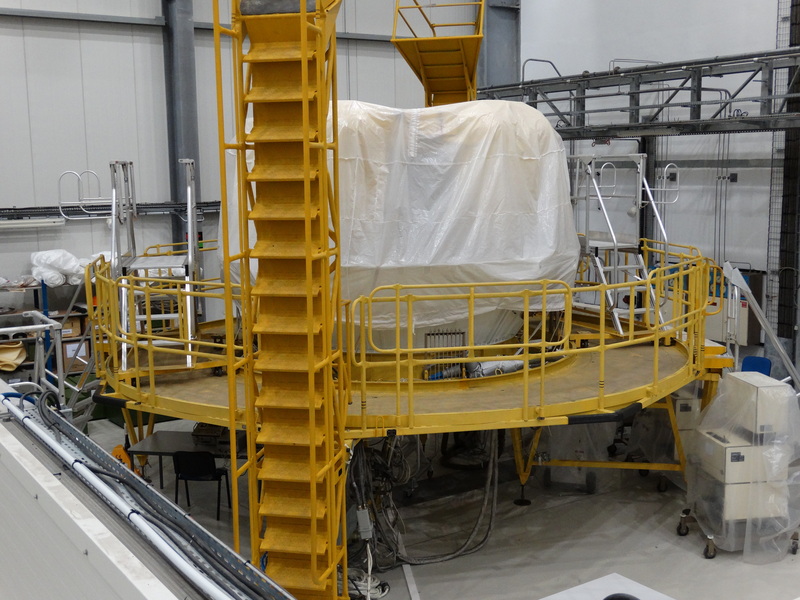 Fregat upper stage (4th stage) covered by a protective shroud. This picture was taken before fuelling. 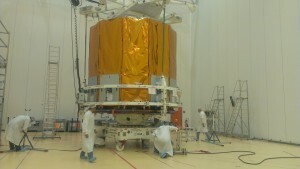 Next was the Fregat upper stage. The Fregat is now fuelled with more than six tons of very poisonous, corrosive and explosive propellant and it is resting in the complex S3B waiting for Gaia. 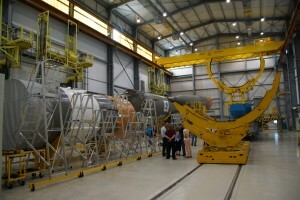 Fairing which will contain the spacecraft and the Fregat upper stage when integrated. Last, but not least, we checked the fairing: the two shells which will enclose the spacecraft and the Fregat. It’s ready, and only waiting for the two big stickers featuring the Gaia logo, which will be applied to each shell. 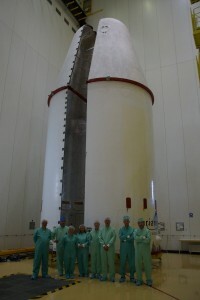 Thee three components – the spacecraft, the Fregat and the fairing – are collectively known as the “upper composite”. 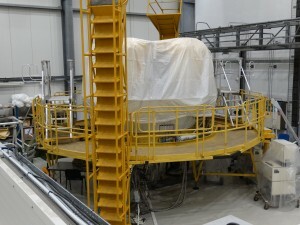 The upper composite will be mounted on top of the rocket on the launch pad, five days before launch. Wow, The progress is coming along great!